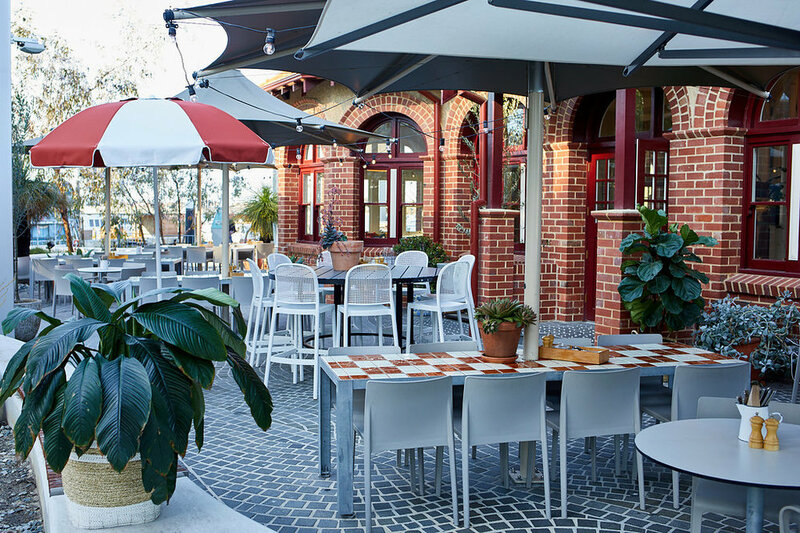 The Island at Elizabeth Quay is the perfect place to host a function of any kind. High ceilings, timber floors, gardens and bay windows set the scene inside the light-filled island oasis where guests can enjoy a sit down or cocktail style event. The impressive city views continue throughout the entire venue with the use of clever indoor-outdoor seating areas. The Island caters for every occasion whether it be a family social gathering, a corporate function, wedding or community event. Let our team take care of you from start to finish, guiding you through our enticing food and beverage packages, or working with you to create custom package to suit your needs. These sun drenched areas are filled with an abundance of natural light and are the perfect space for any celebration or occasion. With intimate booth seating and dining tables, The Bay Windows welcomes smaller get togethers. The ultimate open plan space for social events of all types. A fun and dynamic space with a variety of seating options for guests, high ceilings, stunning views, a peak into Florence’s Pizzeria and exclusive of our bar and brewing area. Definitely a topic of conversation for your guests! Rain or shine, this flexible indoor/ outdoor city oasis is a spectacular area for any event or party. With the best views in town and Perth’s glorious warm days, we open the louvred sun roof and let the sunshine in! The Brew Garden has a variety of seating options for your guests from high tables, to cosy alcoves or our comfy swing seat. A glorious garden/ alfresco space, shaded with large market umbrellas and overlooking the water of Elizabeth Quay. Northern facing and winding around the building with intimate alcoves and long tables. The perfect area to enjoy long, lazy summer evenings..